At the eastern borders of Greece, the island of Chios is a hidden gem for everyone that wants to explore its history and authentic culture. Choose Chios as your next holiday destination and let us show you what you should definitely not miss there! Chios is the fifth largest Greek island, floating in the Aegean Sea. With a territory of about 842 km^2, the island offers from pristine beaches with cooling waters, long-stretching valleys, high mountains for hiking lovers, deep caves for adventurers and magical gorges carved by fast-flowing rivers. Except for its natural beauty, Chios is a place with a history since Neolithic times and impressive monuments from different time-periods, ideal for the visitor to sink into the island’s culture. If you are thinking of Chios as your next holiday destination. check the article below as we have prepared a list for you with the things you must-see while on the island. Homer is the father of ancient Greek literature. For the ancient Greeks, his works were the very core and essence of their culture, serving as their bonding myths, epic history and a common reference for every Greek regardless of his individual origins. During antiquity, his works Iliad and Odyssey were taught in schools and people always referred to them as exemplary, perfect pieces of literature. Even though many biographies existed in ancient times, not enough information survived to modern times regarding his life. It is known that seven cities rivalled as his hometown, but today scholars consider the cities of Smyrna and Chios as the best candidates. Homer belonged to the group of the Ionian Greeks and he was the son of Maeon from Smyrna and Critheis. Originally his name was Melisigenis but later on, he was named Homer (meaning the one that cannot see) because of his blindness. Even during his time, he was a famous wandering bard telling his stories all over Greece. At the eastern shores of the island of Chios, close to the village of Vrontados, there is a site that is closely connected to the story of Homer. This archaeological site was identified as the famous school of Homer, and the carved rock at the middle of it was symbolically named Homer’s rock. Today, archaeologists have proven that the site belongs to the 6th-century sanctuary of Cybele, the mother-goddess of Anatolian origins. At the southernmost point of the island, lies the small village of Emporeios, one of the most important ancient settlements of Chios. The first habitation is dated in Neolithic times and it seems that people decided to settle there because of the presence of freshwater. A large Mycenaean settlement was unearthed in the first half of the 20th century which provided valuable information and artefacts not just for the settlement itself, but for the development of prehistoric urban planning during that time period. At the Acropolis of Emporeios, a megaron building was found that was identified as the seat of the ruler. In archaic times, a temple to Athena was built nearby, overlooking the sea passage from Chios to the coast of Asia Minor. After its destruction in the 5th century BC, the people of Chios rebuilt it following the design of the archaic temple. 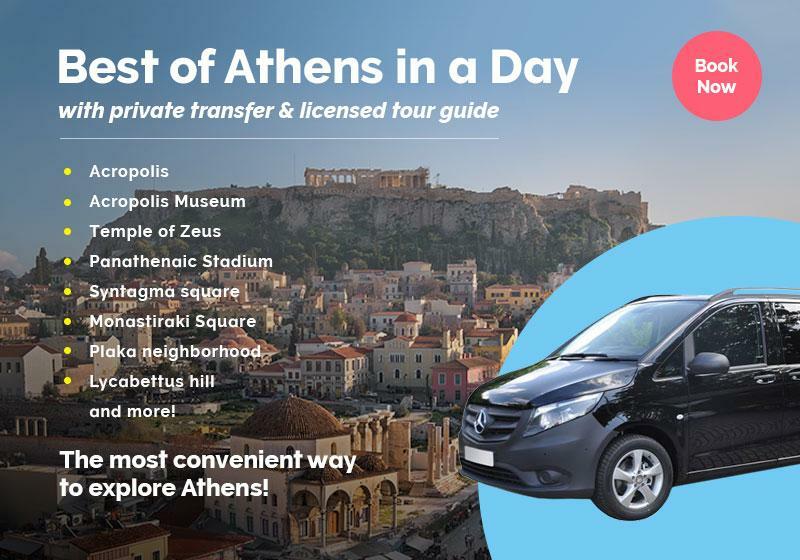 Today, the visitor can wander around the ancient Acropolis and check from up close the Mycenaean megaron and the ruins of the temple of Athena, all in an idyllic setting. For those that will choose to reach Chios by ferry, the sight of its castle will definitely compensate for the long ferry ride. Located at the port of the modern city, the castle is the most impressive attraction the visitor can see and a perfect opportunity to sink into the history of the island. It includes ruins and monuments dating as far back as Hellenistic times, a fact that shows that it was an area of a pivotal importance since then. Today’s existing medieval structure is dated from the 14th to the 16th century CE, and it is a result of the Latin occupation of Chios. This huge pentagonal structure has strong towers and heavily fortified gates ensuring that way its security from sieges and invasions. The really interesting fact though is that the castle of Chios is one of the few castles that it is still inhabited! A picturesque neighbourhood still exists inside the walls of the castle, painting a nice picture of how medieval life used to be. If you ever find yourselves on Chios, do not miss the chance to wander around the narrow alleyways of its castle, check out ancient ruins literally at your feet and feel the vibe of a medieval settlement. Some 12 kilometres west of the town of Chios, lies the medieval monastery of Nea Moni. Located at the top of a hill, Nea Moni is overlooking the valley stretching in front of it. The monastery has a fascinating history waiting for you to explore. Founded during the 11th century, its buildings are fine examples of imperial Byzantine architecture which include exquisite mosaics designed by the imperial workshops. In addition, during the years of the Greek War of Independence, Nea Moni was the ground of one of the most terrifying events that happened on the island. The reaction of the Ottoman Empire to the news of the Greek revolt was brutal. Thousands of people were slaughtered and those who found refuge to the monastery met their end at the spot as well. Today, Nea Moni is one of the 18 Greek UNESCO World Heritage Sites. In case you want to learn more about its history before your visit, click here. The medieval village of Pyrgi is located at the south part of the island of Chios some 26 km away from the port. The name of the village is mentioned in documents of the 11th century CE. It was founded after the decision of farmers from different villages to create an inland community to avoid the danger of piracy. Pyrgi is one of the medieval villages of Chios that was not severely destroyed by the earthquake of 1881, therefore it retains its particular architecture and medieval urban planning. The narrow alleys of the village will take you to a time-travelling journey back in a long forgotten era. Tall houses, Byzantine churches, ancient wells and many more attractions will raise your interest while being there. Another thing that will surely catch you by surprise is the endless presence of geometric patterns covering the walls of the houses. Scholars still debate on its origins, but the custom of Xista is a customary decorative thing to do to your house, creating quite an impressive and beautiful result. In addition, the Pyrgians are renowned dancers that still love to wear their traditional costumes on every special occasion. To experience your visit to its fullest, ask the locals for the upcoming festivals and let yourselves loose to the hospitable hands of the people of Pyrgi. This small village is located approximately at the centre of the island and it is one of the most impressive fortified settlements of the Aegean Sea. According to the legend, the village was founded in the 11th century after the influx of workers and artisans to Chios for the construction of the monastery of Nea Moni. Located at the top of a mountain, it is naturally fortified by some surrounding cliffs and two deep gorges. Throughout its history, it was one of the most well-protected settlements, often hosting villagers from the nearby region in cases of pirate raids or warfare. Due to its stone-built houses and its medieval urban planning, scholars compare this village to the great fortified city of Mystras. The massacre at Chios and the earthquake of 1881, took a terrible blow to the village’s population. In 2011, the national census revealed that only one person was living in Anavatos, making it an almost abandoned site. Today, the visitor can follow the traditional trail to the village, admire its medieval architecture and gaze at the spectacular view to the plains and sea of Chios. The few places on the world where mastic trees thrive and produce a resin of a specific composition known as mastiha, are the south plains of Chios island (where the largest production happens) and some places of the nearby Turkish coast of Asia Minor. According to the legend, in 250 CE, the Romans authorities of Chios issued a bounty on the head of a Christian, St. Isidore. One day, few Roman soldiers managed to identify him and started chasing him all over the region of Chios valley. The desperate saint asked for the help of Jesus Christ and then miraculously a white horse appeared that took him away in a heartbeat. Close to the village of Mesta, the saint decided to rest under a mastic tree. By the time St. Isidore laid on the earth, the tree started pouring its sap from its trunk like shedding tears, in order to heal the wounds of the St. Isidore. Since Roman times then, the islanders of Chios cultivate intensively those trees in order to collect its valuable resin. Many villages (over 20) were organised around this small area where those trees were to be found. Gradually, a large scale production started to happen on the island. During the Latin occupation, the rulers of Chios decided to intensify and put the foundations of monopolising Chios' production, establishing an almost suffocating protection to those villages. No one was allowed to visit the area without a good reason and no farmer had the right to abandon his fields without permission. This policy survived up until the middle of the 19th century and this partially-established isolation of those villages resulted in the formation of different customs and dialects. In antiquity, mastiha (the final product) was known for its medicinal properties and in ancient Egypt, it was used for the mummification process. In addition, it is a substance widely known and used in the eastern part of the Mediterranean Sea as a medicine for various diseases and of course, for culinary purposes. Different cuisines including Greece, Turkey, Egypt and the Middle East, have recipes that include mastiha and many of their desserts have its particular taste. If you find yourselves on Chios, spend some time exploring the south part of the island and experience its authentic atmosphere by wandering around its medieval villages. From ancient temples and abandoned fortified settlements to medieval castles and fertile lands flavoured with the rare mastic resin, the island of Chios has it all! Plan your own trip to Chios or perhaps check out one of our Greece tours.